Football returns to the Wide Bay region this weekend with season two of the AFL Wide Bay Takalvans Women’s competition commencing. Following the success of the inaugural 2018 campaign, all six of the Wide Bay’s female teams will once again take to the field in an extended eight-week home and away season and two-week finals series. A host of local derbies will help usher in the new season, beginning on Friday night as 2018 runners up host the Bundaberg-based Brother’s Bulldogs at Frank Coulthard Oval. On Saturday night, 2018 Premier Hervey Bay will host cross-town rivals Bay Power at Norm McLean Oval as the Bombers defend their title for the first time. The final game of the Round, which pits the competition’s most southern team, Gympie, against the Maryborough Bears in what could be an early litmus test for both clubs. AFL Queensland Competitions Manager Sunshine Coast / Wide Bay, Dean Wicks, said the club’s continual support through the early years of the competition have allowed the expansion this year. 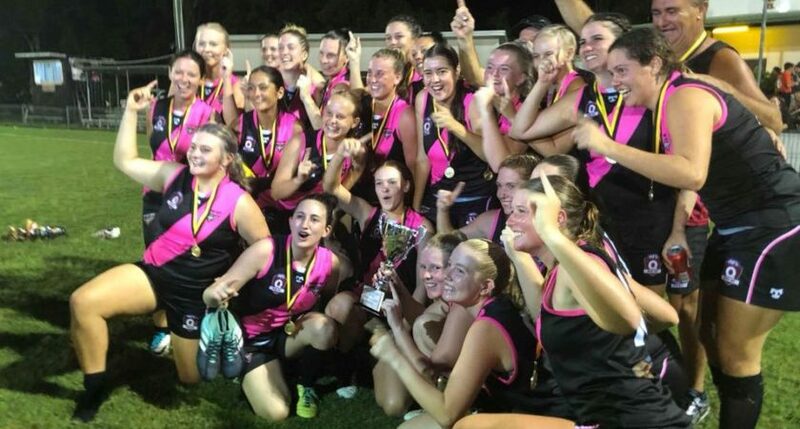 “We are absolutely delighted with the interest and commitment from the six clubs involved in the second official AFLWB Women’s Competition,” Wicks told aflq.com.au. The ten-week season will culminate with the Grand Final contested between the first and second placed teams at Frank Couthard Oval, Bundaberg on April 6. In 2019, Takalvans – Caravans, Spares and Repairs have also gotten on board as the naming rights sponsor for the AFL Wide Bay Women’s Competition.